All Rights Reserved. No part of this website may be reproduced or transmitted in any form or by any means without the prior written permission of the event producer. Oman Data Park a joint venture between Omantel, a leading telecom services provider in Oman and 4Trust LLC, a leading Data Centre company in Oman. The management team of ODP has a wide-range of competencies to achieve, augment and support the IT and business practices of organizations both large and small. ODP is the first managed service provider in Oman with a vision to transform the future, where IT services will be available on demand. ODP's notable portfolio of services include, Managed Hosting, Cloud Services, Hosted Applications and Managed Services with a guaranteed uptime offering unparalleled level of customer support. The key to delivering these services is ODP's state of the art Data Centre which combines redundant systems with an integrated facility management infrastructure. At ODP, we understand our customers need reliable, secure and flexible solutions delivered with unmatched expertise and quality of service. Our vision unifies the employees to focus on our customer success. ODP recognizes that business needs vary by industry and has developed solutions tailored to address the healthcare, government, education, and professional services sectors. We have also developed solutions to address the broader needs of the marketplace, including business continuity, collaboration, communications, connectivity and security. We capture and treat private company information for better decision making and increased efficiency. When you need to understand the companies in your ecosystem, you'll benefit from a certain approach. Bureau van Dijk is in the business of certainty. With information on 200 million companies(40,000+banks) we are the resource for company data. A key benefit of our information is how simple we make it to compare companies internationally. BPC Banking Technologies is a worldwide leader in payments solutions with over 180 clients in 63 countries globally. 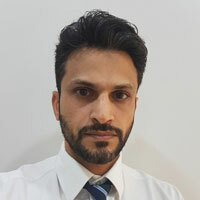 It is the architect and developer of SmartVista – the complete e-payments solution delivering: high performance authorization switching and routing, ATM and POS management, card management, advanced fraud prevention, loyalty program management, card personalization and production, billing and merchant management, microfinance, integrated internet and mobile banking. Holland Fintech is an independent organization that delivers professional services to business clients in Financial and Technology (FINTECH). It distributes knowledge about digitalisation, supports financial innovators and drives co-operation and competition to deliver better financial service globally. ERI is a substantial international company, specialising in the design, development, implementation and support of an integrated, comprehensive banking software package: the OLYMPIC Banking System, chosen by over 300 banks and financial institutions spread over more than 50 countries in Europe, the Middle East, Africa, the Americas and Asia. ERI is focused on providing high-quality, omni-channel software; successful system implementations; and on-going maintenance and support for all international Private, Commercial and Retail Banks, Central Banks, e-banking and e-broking companies, Fund Management companies and Transfer Agents. The OLYMPIC Banking System is acknowledged as the most comprehensive package on the market. 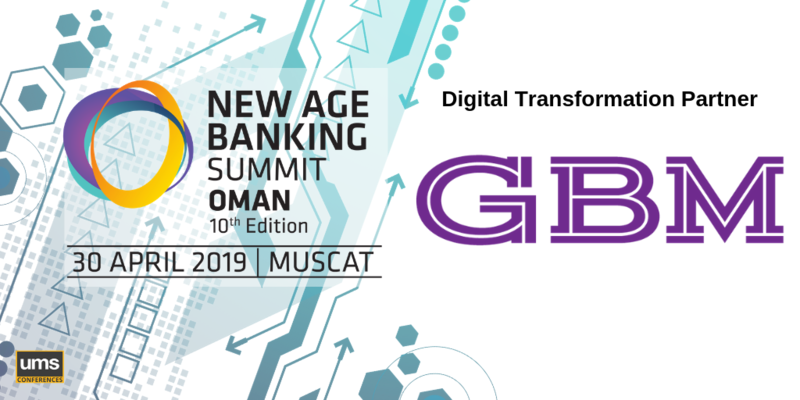 In constant evolution, it provides extensive coverage of Front-, Middle- and Back-office functions, for the most demanding banking and financial institutions, including of course e-Banking , Mobile Banking and e-Brokerage services. Driven by the philosophy of cooperation and assurance, Takaful Oman Insurance SAOG is a MSM listed composite takaful provider operating in the Sultanate of Oman. It has provided returns of over 25% to its shareholders during the last 2 years in terms of its share price*. In addition, it has managed to achieve breakeven during its first full year of operation. What’s more, Takaful Oman is the first company in Oman to provide a public report of the company’s actual performance in comparison to the projections it made during the IPO. To promote Takaful awareness through offering innovative Shari'a compliant products and services that deliver exceptional value and are tailored to the specific needs of customers through a highly dedicated professional team. To be one of the leading Takaful companies in Oman by maximizing value to all stakeholders under a Shari'a compliant framework. Vision To be one of the leading Takaful companies in Oman by maximizing value to all stakeholders under a Shari'a compliant framework. 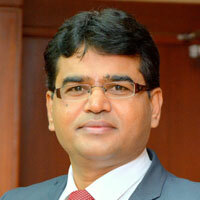 Rajesh Pai Fondekar has over 17 years of banking expertise across some of the largest local and multi-national banks. He is currently heading the Alternative Distribution Channels of Meethaq Islamic Bank. Prior to this, he was the Vice-President, Delivery Channels at HSBC India. Rajesh’s expertise spans the fields of electronic channels, new age commerce, payment systems, product development, retail banking strategy and analytics. Apart from being a banker, he is a keen academician and a visiting faculty member at the Department of Management Studies at Goa University and IGNOU, among others. Rajesh possesses a graduate degree in Mathematics and a post-graduate degree in Finance from Goa University, India. Moilim Al Azhar is an Islamic banker with 10 years of experience in Islamic finance, with a focus on Shari’a advisory and compliance. He has worked under the direct supervision of leading Shari’a Scholars in the Islamic finance industry, including Dr. Hussein Hamid Hassan, Dr. Abdul-Sattar Abu Ghuddah, and Dr. Ali Quradaghi. Moilim has had a rich exposure to different jurisdictions, including UAE, UK, Libya, and Oman. He holds an MSc. in Economics & Finance (2002) and the AAOIFI-Certified Shari’a Advisor & Auditor (2009), and can speak Arabic, English and French. 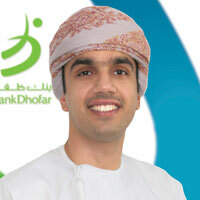 Marwan Al-Zadjali is the Head of eBanking in BankDhofar. He is responsible for three units: call centre, self-service and online & mobile banking. 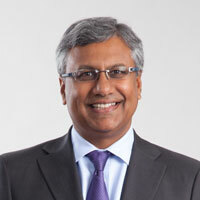 His key areas of focus are the implementation of internet banking, SMS banking, mobile banking, self-services and IVR; business support for service channels; business products related to e-banking; e-banking projects; Card Centre projects; Automated Teller Machines (ATMs), Teller Cash Recycle (TCR) and cash and Cash Deposit Machines (CDMs). Marwan also oversees new locations, data analysts, UAT and new enhancement. Additionally, he is in charge of managing the eBanking specialist projects team and providing strategic direction for development channels, along with quantified justification for their introduction. He was previously the manager of retail projects in Bank Dhofar. Marwan holds a BSc (Hons) degree in Internet Technologies and E-Commerce from University of East London. Neil O’Brien is a thought leader and practitioner in digital banking. Most recently, he led the digital strategy and digital platform management at Santander Bank in USA. At Santander, Neil’s key contributions were in the strategy and management of new digital banking initiatives based on deep experience of the business, risk and technology aspects of banking. Neil has gained banking experience in several European countries as well. His primary focus is the impact of new technologies on banking. He has spoken and published articles on various banking topics, including the prospects for banks in a fintech world, payments, innovation, digital wallets, mobile apps and digital technology. Neil holds a MBA from International Business INSEAD. H.E. Hamood Sangour Al- Zadjali was appointed by Royal Decree as Executive President of the Central Bank of Oman (CBO) in June 1991. He continues to serve as Executive President of CBO since then. H.E. Al- Zadjali is a renowned expert on financial and economic policy making in the GCC region. 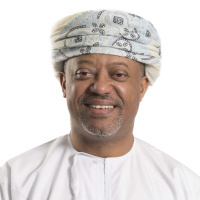 While serving as Executive President of CBO, he is widely recognized for nurturing and steering the banking sector in Oman into a stable, sound and resilient financial system, by developing not only the banking sector but also deepening and widening other segments of the financial markets. He continues to serve in the Boards of several financial institutions. H.E. Al-Zadjali started his banking career with HSBC Bank in 1969. Before taking over as Executive President of CBO, he held executive positions in various capacities in the financial sector including CBO. Born in 1947, H.E. Al-Zadjali holds a Management degree from Boston University’s School of Management, USA. 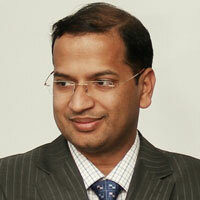 Faraaz Ali is the Regional Head of Retail Products for ANZ. He manages the overall business and product management functions for cards, payments, banking accounts, deposits, mortgages and personal loans. Working closely with the Asia-Pacific country business leadership teams, he strives to deliver innovative payment products and a distinctive customer experience. Prior to joining ANZ, Faraaz headed Citibank’s credit card businesses across the Middle East and North Africa and in USA. 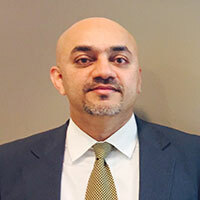 He began his banking career at Capital One, serving in numerous roles, including Process Manager for the Canada cards business and Project Manager for the Capital One Auto Finance Group. He holds a Master's degree in Information Technology from the University of Dallas. Faraaz has been actively involved in community and youth development initiatives in USA, UAE and Singapore. Neeraj Rathi is a chartered accountant from the Institute of Chartered Accountants of India. He has over 20 years of experience across various industries and counties. He has worked with Citibank South Korea and Citibank Singapore. In the Middle Eastern region, he has worked with Noor Bank at Dubai and Bank Nizwa at Oman. 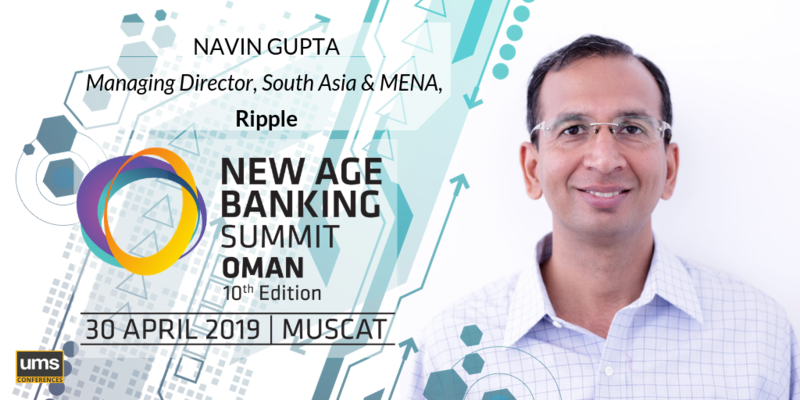 Neeraj has been a member of the core team responsible for setting up the retail business of two Islamic Banks—namely, Noor Bank and Bank Nizwa—after establishing, growing and managing the portfolio. At present, he is the Head of Retail Asset Products at Bank Nizwa, the 1st Islamic Bank of Oman. Pankaj Kundra is the Regional Head of Payments at Mashreq Dubai. Since December 2015, he has been responsible for the P&L of Mashreq’s Payments Business. Pankaj has 17 years of banking experience across various countries. Prior to joining Mashreq Dubai, he was the Head of Retail Banking at Mashreq Egypt, where he spearheaded the retail bank’s turnaround from a loss-making to profitable business franchise. 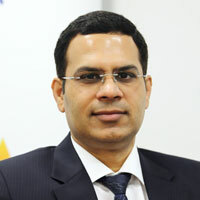 From 2007 to 2013, Pankaj was Sr. Vice President and Business Head – Mass Market Segment and Auto Business at Fullerton Financial Holdings in UAE. His key achievements during this time include being a part of the founding team, which set up a world class finance company in UAE. He was involved in many aspects of the company, including credit policy, product proposition, branch distribution set-up and sales. 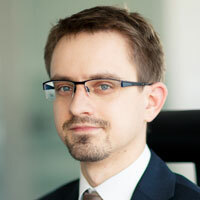 Radosław Bekanowski has over 10 years of experience in consulting in the financial sector. He joined Comarch while studying at Warsaw School of Economics (specialization: Quantitative Methods and Information Systems). As a business analyst, and later consultant, he has accumulated a vast amount of hands-on experience in the area of BPM and front-end systems, with an emphasis on supporting the loan origination processes (in terms of both technical and business knowledge). Passionate about business process optimisation, Radosław now serves as an expert in the field of new technologies and their practical usage in the banking industry. 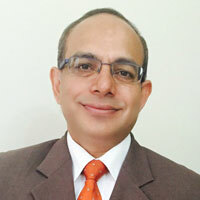 A career banker and a chartered accountant by profession, Humayun Kabir has over 30 years of wide-ranging experience in business management, finance, technology and operations with organisations such as ABN Amro Bank Canada, Royal Bank of Canada, National Bank of Oman, Saudi American Bank, Ernst & Young and Inforica Inc., Canada. He began his career in 1989 with Saudi American Bank, one of the Gulf’s largest and most highly acclaimed financial services group. 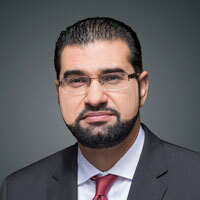 In 2008, Humayun joined National Bank of Oman as General Manager and Chief Financial Officer. During his eight year-stint in the bank, he spearheaded the Retail Banking and later Wholesale Banking Group as the General Manager. At present, he is a board member in Kunooz Oman Holding, Majan Mining, Carmeuse Majan and Al Omaniya Education Services SAOC. 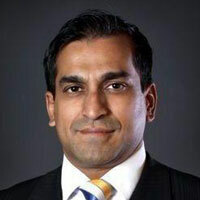 Manoj Anchan has 23 years of experience in global management and business leadership in the consumer banking domain, with significant expertise in business strategy, setting up and management of start-up businesses and P&L management of asset, liability and insurance products in the retail and SME banking vertical. Manoj has had global work exposure through various stints in diverse countries such as India, Tanzania, Mauritius and Oman. He is currently the Executive Director and Head of Retail Banking Oman at the National Bank of Abu Dhabi. Bharat Panchal has been the Head- Risk Management of National Payments Corporation of India since April, 2011. He is responsible for monitoring, evaluating and implementing improvements in the risk management control and governance areas, with focus on enterprise risk management, operational risk management, information security, internal audit and fraud management. Under his leadership, NPCI has achieved PCI DSS, ISO 27001, ISO 22301 and ISO 9001. Bharat was awarded the title “Security Leader of the Year” in December, 2014 by the Data Security Council of India (DSCI) for his significant contribution to cyber security in the banking sector. He was also named "Information Security Maestro-2015" by INFOSECURITYLIVE.COM in April, 2015. He received the Ramakrishna Bajaj National Quality Award Certification of Merit in February, 2016. Rabih Abou Jaoude is Regional Sales Manager of the Financial Instant Issuance Business in MEA at Entrust Datacard Group - a leading solutions provider for highly secure financial card programmes, government ID initiatives and secure ID programmes for education, corporate security and many other markets. Rabih has a degree in Computer and Telecom Engineering from the University of Notre Dame in Lebanon. He has held a number of positions in sales and consultancy in several multi-national companies, and has 12 years of experience in the card Industry. Maitham Al-Lawati is heading Risk, Compliance & Managed Security Services at Oman Data Park. He is part of the executive management team that formed to establish the first cloud and managed service provider in Oman. 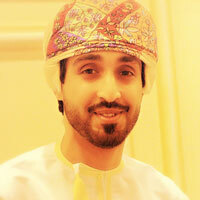 Prior to joining Oman Data Park, he headed the information security department at one of the leading local banks. 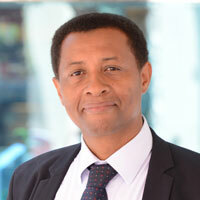 He has also served at Ernst & Young in the IT Risk & Assurance Advisory Services and various other organisations. Maitham holds a BSc degree in Information Systems from Sultan Qaboos University. He also boasts several professional certifications, such as CISSP, CISM, CRISC, C|EH, ISO 27001 LI, CCNP:Security, ISC2 CCSP. Security+, ITILv3 (f). 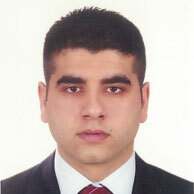 Maitham has more than ten years of professional experience in cyber security. 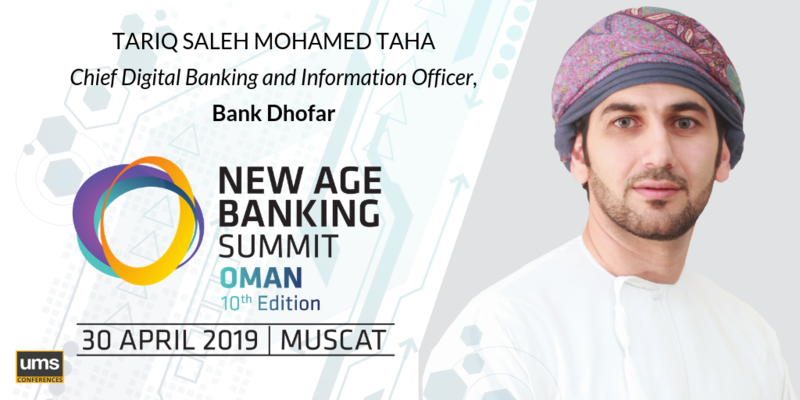 Dr. Hilal Houssain is a public speaker, Senior Financial Product Development Specialist at an international financial institution (IDBG), security technologist and cryptography expert. He also served as a senior cyber security consultant at the National Commercial Bank. His expertise lies in assessing, designing and implementing cryptographic primitives and schemes. He has two patents with USPTO in securing ECC cryptosystems against simple and differential power analysis attacks on resource constrained devices, and has written several articles on security and cryptography that have been published in international journals and conferences. His research interests include cryptography, blockchain technology, securing IoT and cloud-based computation, fintech and banking/financial security, security attacks and countermeasures on crypto-systems. 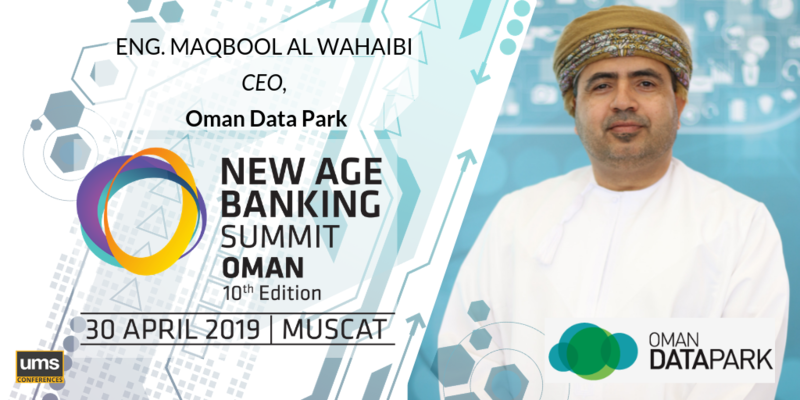 Maqbool Al Wahaibi holds the position of CEO at Oman Data Park (ODP)—the first Managed & Cloud Service Provider in Oman. He is part of the executive management and was a founding member of the team that established ODP. 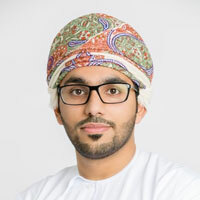 Prior to joining ODP, Maqbool worked with the Government of Oman for over 20 years on strategic National IT initiatives and projects in the area of information security. He holds a Master’s degree in Computer Software Engineering from the University of York. Llyod Maddock is the CEO of Ahlibank SAOG, the Chairman of Al Hilal MENA Fund, and treasurer and board member of the Oman Banks Association. He was previously the Deputy Group CEO, Corporate Banking, Ahli United Bank BSC. He is also the former CEO of HSBC Pakistan as well as HSBC Kuwait. Llyod served as the Head of Wholesale Credit & Risk, HSBC MENA region. 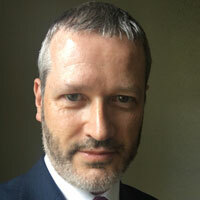 He has worked in various senior management roles with HSBC, covering corporate banking, strategy and risk management. Lloyd holds a Bachelor of Engineering (Civil & Mining) degree from University of Exeter, UK. 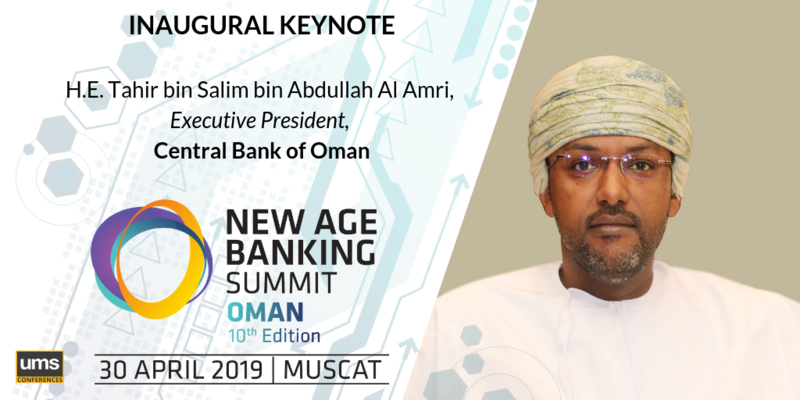 Khalid Al Kayed is the Chief Executive Officer of Bank Nizwa, and is responsible for spearheading the bank’s overall business growth and 2020 strategies. A financial industry veteran with over 25 years of experience under his belt, Khalid has served the bank since inception, initially as Chief Finance Officer, before taking on the responsibility of CEO. Prior to joining the bank, he held various posts in a host of well-respected financial institutions. His expertise lies in general banking management, financial control, accounting, global markets, credit, investments, risk management, and asset liability, among other fields. 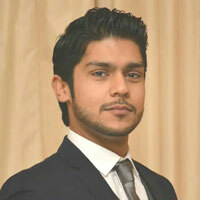 Khalid holds a Master’s degree in International Accounting and Finance from Liverpool University. He is also a certified management accountant and financial manager as per the Institute of Management Accountants. Abdul Hakeem Omar Al Ojaili is a veteran banker with over 26 years of progressive banking experience. He has vast experience in corporate and retail banking, operations management, technology and corporate support services. He has been with BankDhofar since its inception, and has helped it become one of the leading banks in Oman. He has recently been appointed the CEO of the bank. Abdul began his career in wholesale banking by managing a diverse corporate portfolio in businesses and industries. Gaining exposure in the international banking environment, he was cross posted on a number of assignments with JP Morgan and Lloyds TSB. Abdul holds a BA and MBA from Exeter University in UK, and is also an alumnus of both, Harvard and London Business School’s Executive Education Programmes. Sulaiman Al Harthy is a seasoned banker with more than 32 years of experience. 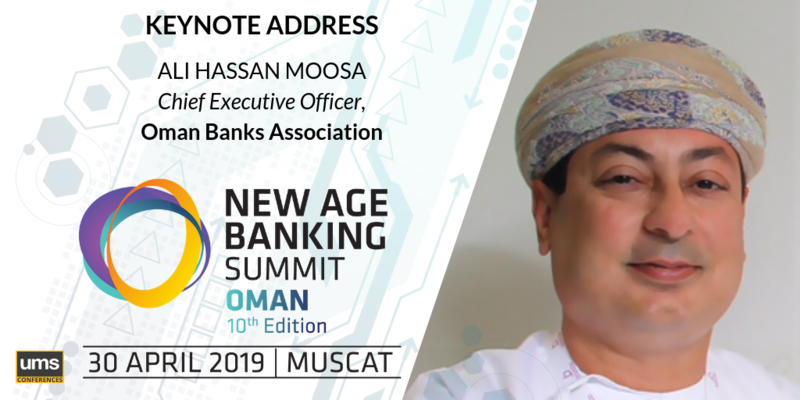 He started his career with the National Bank of Oman in 1983, and has well-rounded experience in corporate and retail banking. 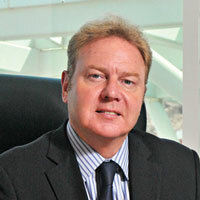 He has been associated with Bank Muscat, the flagship bank in Oman, since July 2005. Sulaiman has driven Meethaq Islamic Banking to become a leader in the Islamic banking industry in Oman since its inception in January 2013. He holds an MBA in Finance from the University of Leicester, and is an alumnus of the Oman Institute of Bankers. He has also attended the Harvard Business School Management Programme. Sulaiman is active in the banking circles in Oman and was presented the prestigious ‘Upcoming Personality in Islamic Finance 2014’ award by Global Islamic Finance. 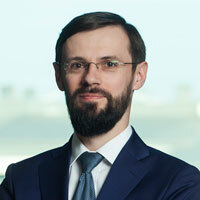 Bartosz Lerka is a former corporate banker with nearly 10 years of experience. During his banking career, he served international corporations, European SMEs, companies listed on the stock exchange and enterprises with consolidated shareholder structures. In Comarch, Bartosz supports the optimisation of banking processes with IT solutions, with the aim of freeing financial officers and bank employees from complex or repetitive tasks and excessive operational risks. He is partial to efficient time and money allocation on both sides of the bank-client relationship. Jasim Al Balushi is a technologist that contributes ideas for improvement in simple steps, helping organisations meet ambitious goals. He is certified in Microsoft and hosting technology, well-versed in web and mobile apps, and possesses considerable knowledge in server and client software. Jasim has the ability to build ERP and HRMS with TAS and CCTV. Security and auditing are his key areas of focus and expertise. He has a Bachelor’s degree in Networking (IT). 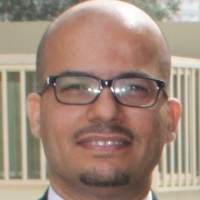 Wael Alkhuzaei is a senior solution consultant at BPC Banking Technologies. He has more than 19 years of experience in the payments industry, working for big names such as BPC, ACI and AFS. Wael has contributed to the design and implementation of payments solutions for leading banks across the Middle Eastern region. He received an MBA from University of Strathclyde, and holds a Bsc degree in Mathematics from University of Bahrain. Humd Munawar serves as an Associate Director with Bureau van Dijk. Bureau van Dijk specialises in business intelligence, and has offices across 27 countries. Humd heads the company’s operations for the Middle East, Turkey and Pakistan via the regional office in Dubai, UAE. Humd has worked closely with financial institutions, corporates and governments across a dozen countries to streamline credit, risk and compliance processes. 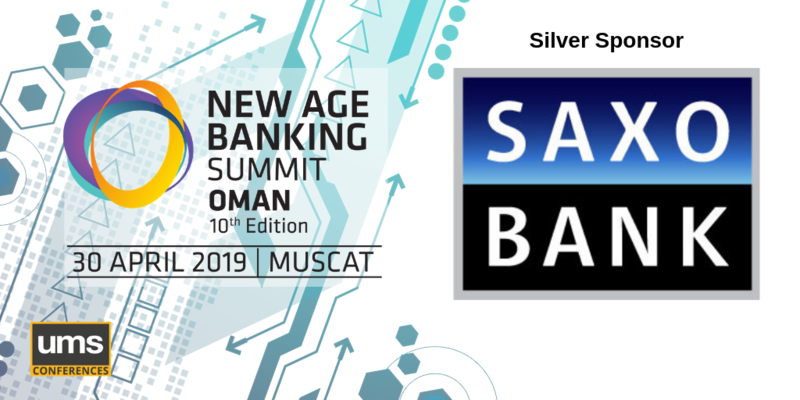 He has headed numerous projects involving process automated risk solutions, internal rating model implementations and compliance frameworks for various Middle Eastern banks. Our website attracts 240,000+ monthly page views and our daily newsletter is delivered to over 41,000 key decision-makers in the financial services and technology sectors. The brand is active across the key B2B social media platforms, with over 30,000 followers on Twitter @FinTech_Futures and 1,900+ members in the LinkedIn group. Annual Banking Technology Awards, which recognises excellence in the use of IT and financial services, strive for innovation, and professional contribution to the industry’s betterment. Global Banking & Finance Review is a leading Online and Print Magazine, which has evolved from the growing need to have a more balanced view, for informative and independent news within the financial community. Our experienced contributors provide this quality and in-depth insight in a clear and concise way, providing leading players and key figures with up to date information within the finance sector. Read in over 200 different countries and ranked below 15,000 globally by Alexa across billions of websites. To find out more, visit us at http://www.globalbankingandfinance.com. ArabNet is a leading events, media and research company focused on building business bridges across MENA. ArabNet organizes major annual conferences in Beirut, Riyadh, Dubai, and Kuwait; publishes news and analysis of the digital sector on its online news portal and print 'ArabNet Quarterly' magazine; and creates original research reports about the region’s digital industry. As you may know IBS Intelligence is one of the world’s leading FinTech research firms with 350 research reports covering all major banking systems and 250+ suppliers. Since its inception 20 years ago, in 40 countries, 5 of the top 10 banks, 9 of the top 10 consulting firms, and 9 of the top 10 suppliers have been its clients. It’s Editorial Team in London provides daily FinTech news and insights coverage, and publishes the monthly iconic IBS Journal. IBS SalesVision Portal covers over 5000+ FinTech system purchases providing great insights to CTOs seeking to make informed FinTech buying decisions as technology becomes highly disruptive. Lastly, IBS Intelligence has been chosen by S&P CapIQ and Thonson Reuters to be a provider of research to its one million+ buy-side and sell-side clients every month. Digitalscouting.de established itself as a wide reaching platform known for outstanding market insights by thought leaders, entrepreneurs and innovators of the corporate world. Digitalscouting.de serves also as sparringspartner for corporates, conference organizers and start-ups on digital strategy and execution. Cloud4c is born in a cloud provider with focus on vertical specific solution. We solve the most demanding IT transformation needs for large enterprises and financial services companies globally by providing a fully managed local cloud solution in 20 countries. Our unique community cloud solution for financial service, verticals has a cloud agnostic framework along with full suite of security controls, Regulatory Compliances and managed services thereby delivering a better TCO and single SLA. Our certifications include ISO 20000-1, ISO 22301, ISO 27001, 27017, 27018, SOC 1, SOC2, PCI DSS V3.2, etc. to service the needs of Financial Services verticals. BM is the region’s number one provider of IT solutions, leveraging industry-leading technologies and service capabilities to drive real business results for customers. Through our suite of solutions, PowerCARD, used by more than 350 issuers, acquirers and national switches, PowerCARD processes any card type (credit, debit, prepaid, loyalty, corporate and fuel) via any channel (ATM, POS, internet and mobile) for any kind of merchant. As one of the leading professional services firms in the Lower Gulf (UAE and Oman), KPMG is proud of its reputation for delivering cutting-edge solutions and exceptional client value. With over 70 partners and directors leading over 1000 professionals across five offices, KPMG works shoulder to shoulder with clients, offering independent audit, tax and advisory services to business corporations, government bodies and not-for- profit organizations. KuBit is a revolutionary cryptocurrency exchange and payment processor which allows users to trade the main cryptocurrencies as well as deposit/withdraw cryptocurrency. They aim to become the top cryptocurrency exchange which brings knowledge, increase access and leverages the advantage of the evolving technology for everyone. Kubit has allotted a stake for any believer in their project for a total stake of 10% with a value of 3 million USD at this stage. KuBit intends to create massive sales and marketing campaign of the brand, in generating revenues that will enable it to have the total company net worth more than 10x in the next 5 years. MMJS Tax Consultancy is a Morison Muscat Group entity formed with the objective of providing solutions with respect to Value Added Tax (‘VAT’) to be introduced in Oman around onset of 2019. MMJS offers a full spectrum of pro-active services to help businesses manage and resolve the challenges, while identifying opportunities with respect to Value Added Tax ('VAT'). Our VAT leadership and the team consists of experienced, passionate and ambitious staff who have VAT implementation, Advisory, Compliance and VAT Audit experience across various industries in Europe, Middle East, Indian Subcontinent and the Far East. Till now, MMJS has served more than two hundred businesses across various sectors to smoothly implement VAT in UAE and KSA. 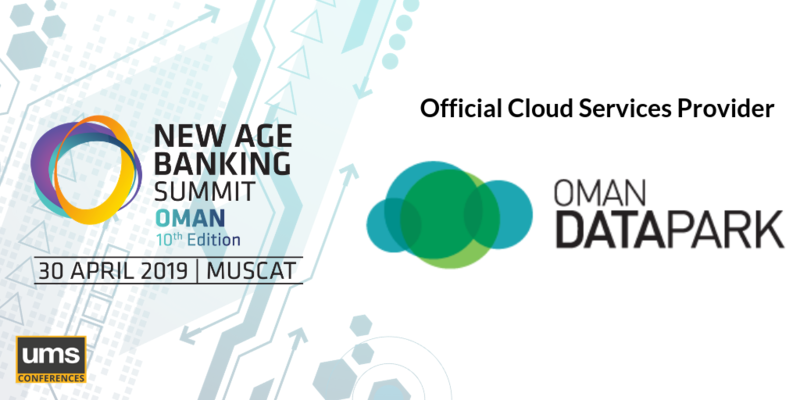 Founded in 2012, Oman Data Park (ODP) is a joint venture between Omantel "the leading telecom services provider in Oman" and 4Trust LLC "A leading Data Centre company in Oman". he management team of ODP has a wide-range of competencies to achieve, augment and support the IT and business practices of organizations both large and small. ODP is the first managed service provider in Oman with a vision to transform the future, where IT services will be available on demand. ODP’s notable portfolio of services include, Managed Hosting, Cloud Services, Hosted Applications and Managed Services with a guaranteed uptime offering unparalleled level of customer support. The key to delivering these services is ODP’s state of the art Data Centre which combines redundant systems with an integrated facility management infrastructure. ODP provides an unparalleled blend of expertise, high standard of service, and reputable provision of IT services that support both large and small organizations. Our services are characterized by responsiveness, reliability, & competency, Delivering a notable portfolio of services be it Managed Services and solution, Managed Cloud, Public Cloud, and managed security services. Electronic data is the lifeblood of any business, especially organizations that run their business over the internet. Having an efficient solution is vital for keeping your business alive. We provide our clients with the superior infrastructure, scalability and management expertise needed while ensuring the highest level of data protection at all times. Finacle is the industry-leading digital banking solution suite from EdgeVerve Systems, a wholly owned product subsidiary of Infosys. 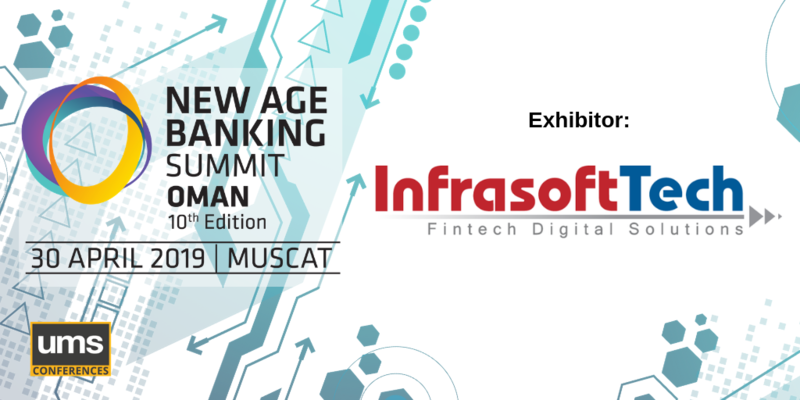 Finacle helps traditional and emerging financial institutions drive truly digital transformation to achieve frictionless customer experiences, larger ecosystem play, insights–driven interactions and ubiquitous automation. Today, banks in over 100 countries rely on Finacle to service more than a billion consumers and 1.3 billion accounts. features thought leadership interviews about IT, IoT, mobility, payments, security and “smart” solutions. Our flagship “In The Boardroom” program, now in its 15th year, has delivered outstanding content marketing and lead generation results for leading global brands such as: Dell EMC, HP Cybersecurity, Gemalto, HID Global, ImageWare, Siemens Security and SONY Security, just to name a few. Metrics confirm that content marketing it is more effective than all other marketing options. Our “In The Boardroom” feature has excellent traction with major media and trade media such as: CNN, Chicago Daily Herald, Financial Times UK, Kansas City Star, Los Angeles Daily News, Miami Herald, The Wall Street Journal and we guarantee this type of exposure for your brand as well.